Pho Dinner — Another spread down. 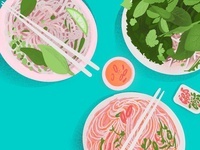 Two delicious bowls of pho. Yoga Balm Logo Lockups — Some logo lockup exploration. 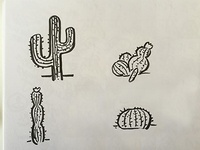 Cacti Doodles — Just some cacti doodles, they are so much fun to draw.